With its graphic, bi-color design, this pump is a perfect complement to the season’s bold looks, inspired by the fearless style of New York women. 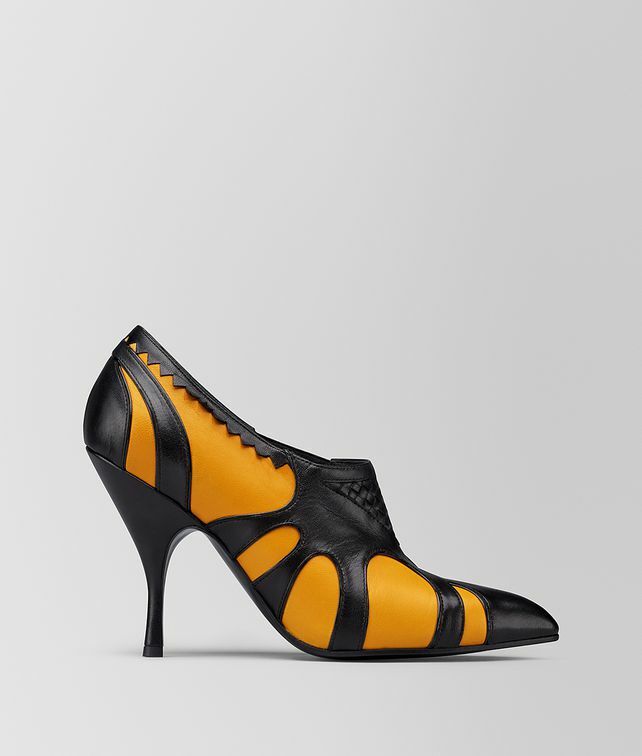 The pump has a pointy toe and curving, sculptural heel. The shoe is detailed with an inset of micro-intrecciato at the vamp and a fine piping of black patent leather to accent the swirling shapes.